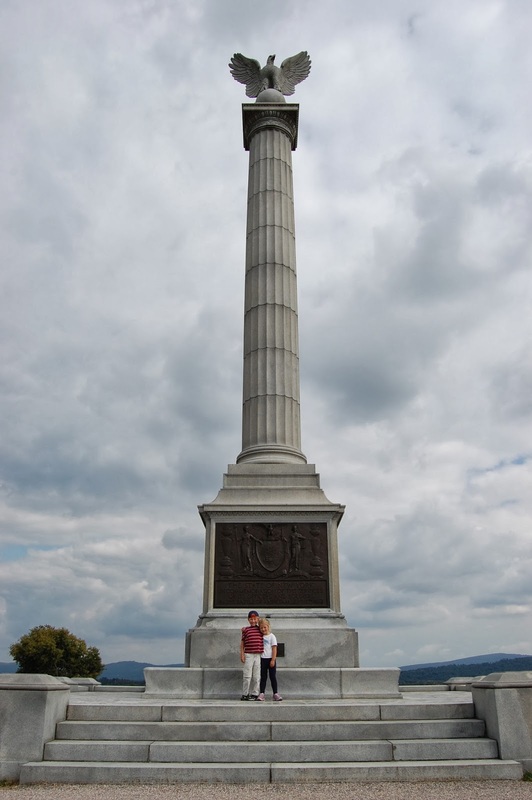 Previously, I shared about the development of my son's passionate interest in the Civil War. As a result, we make an effort to visit Civil War related sites wherever we go. 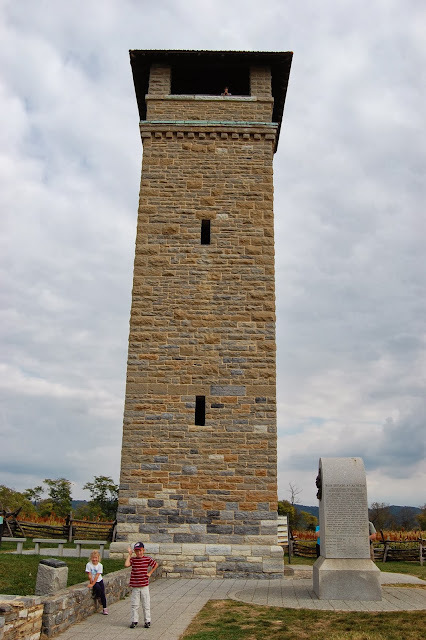 After visiting the Manassas Battlefield outside of Washington DC, I thought it would be worth a day trip to the Antietam National Battlefield in Sharpsburg, Maryland. The Battle of Antietam occurred more than a year after the battle of First Manassas and a month after Second Manassas (a.k.a 1st and 2nd Battle of Bull Run). By this time both armies were much more experienced and skilled at killing one another. This, along with the fact that this battle was the first major one to be fought on union soil, meant that this battle was destined to be brutal. 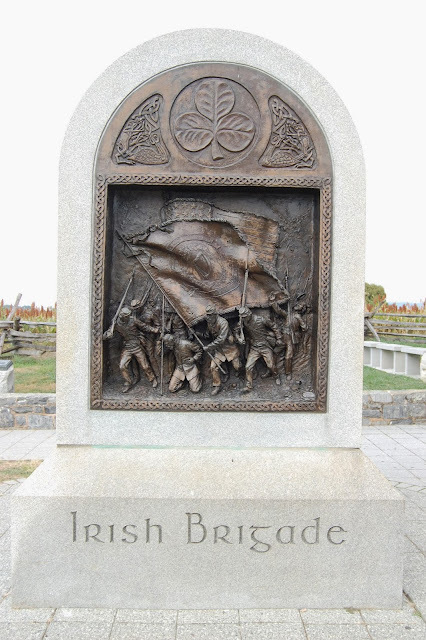 The resulting casualties were well in excess of 22,000 Americans thus taking it's place in the annals of American history as the deadliest one-day battle in all of United States history. As in the case of Manassas, the battlefield is kept much as it would have appeared in 1862. 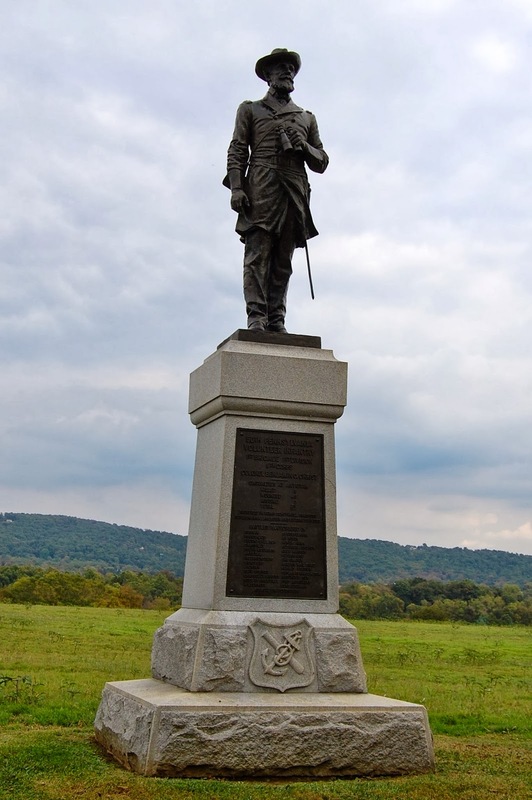 Compared to the Manassas Battlefield though, the serenity and beauty of this battlefield is significantly enhanced by the more sparsely populated area and the terrain of the Appalachian foothills within which it is located. 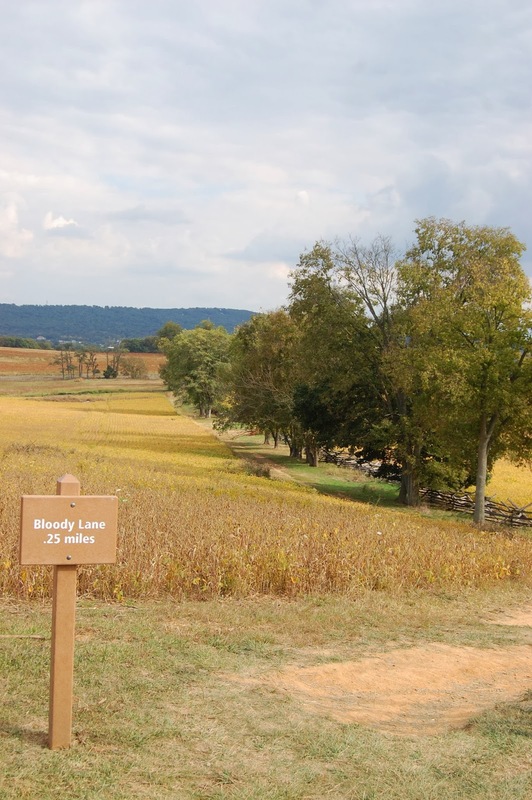 There are numerous walking trails on the grounds including the now infamous "bloody lane." Confederates piled fence rails along what was then called the "sunken road" and dug in. In three hours of fighting, it is believed that 5,500 soldiers were killed or wounded and the "sunken road" got it's new name. Four hours later, Federal troops finally forced the Confederates out. At the end of the day, neither side had won a decisive advantage and General Lee's army retreated back across the Potomac River. 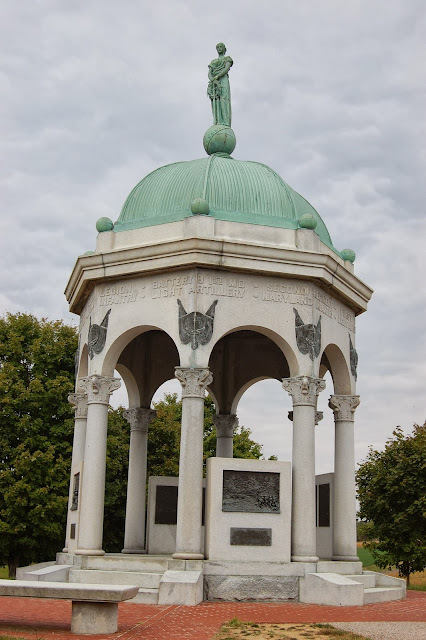 Another amazing thing about the battlefield is the number of elaborate monuments to the men that fought and died here. Find out more about the monuments on the National Park website where you can see detailed information and even adopt one. A stone observation tower was built on the site and is accessible to the public. From the top, the views are spectacular. As you follow the driving tour you will also come to what has come to be called "Burnsides Bridge" another landmark where intense fighting occurred on this day. Details surrounding the defense of the bridge by the Confederates and taking of the bridge by Union troops can be found here.